At Laura Leigh, we’re all about happy, healthy hair – always looking for ways to ensure that you can maintain the rich colour or bright blonde that you love. Fear not, as help is at hand here in the salon with our renowned L’Oréal Smartbond® treatments; a three-step system that works to strength and protect your coloured hair. 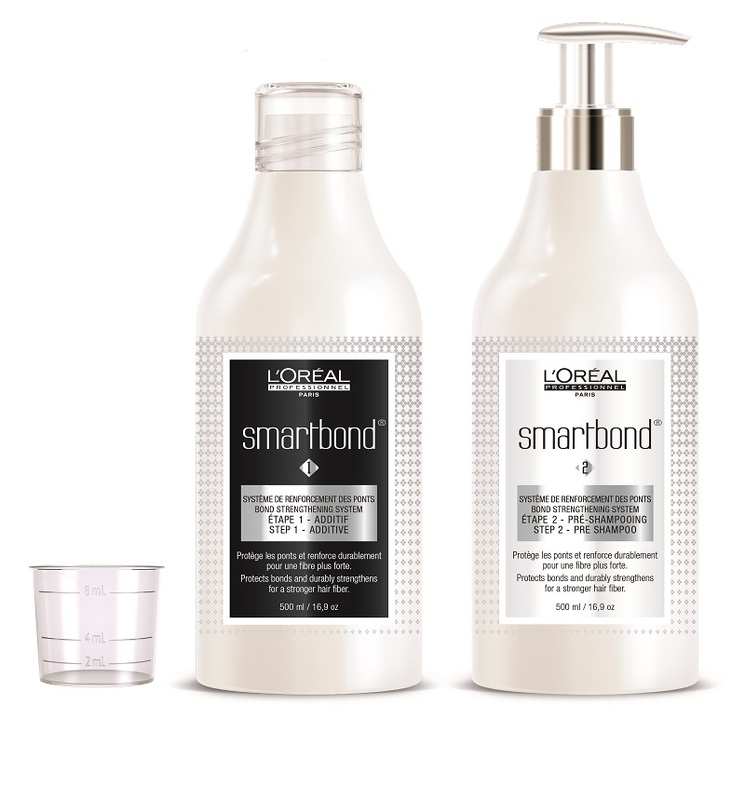 Available to all of our colour clients, L’Oréal Smartbond® works to strengthen your hair bonds and protect the hair fibre during the colouring process. Your stylist doesn’t need to do anything extra to your usual colour appointment when using Smartbond®- the formula is simply added to your usual colour, applied to the hair as normal and rinsed out with a Smartbond® pre-shampoo. To carry on protecting your locks, we also recommend that a Smartbond® conditioner is used once a week at home; acting as a hair health insurance for your colour-treated locks. If you’re interested in trying Smartbond® during your next colour appointment, simply mention it when booking or talk to your stylist when you come in to see us. Smartbond® is priced at £15 with any global colour application and £20 with any highlighting or balayage service. Come and see us to discover the wonders of Smartbond® today!